Hotel located in an old water mill. Elegant guest rooms. 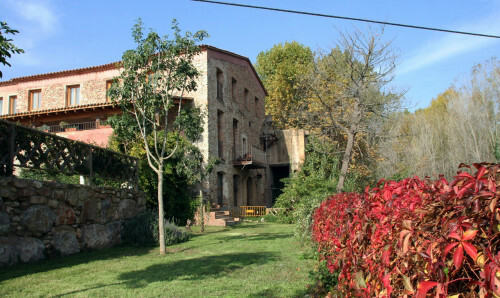 Cottage in Barcelona at the Vallès Oriental. Located 40 minutes from Barcelona. Room rental. 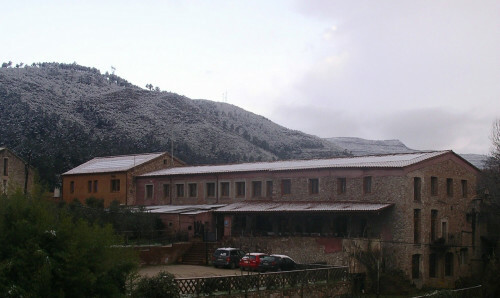 The hotel is located in a biulding of an antic mill, actually restored as an charming hotel. The rooms are nice and comfortable, with elegant dark wood floors. All rooms are equipped with TV and private bathroom with shower, also have free access to the hotel’wifi. The hotel also has a bar and a restaurant where you can eat Mediterranean cuisine. Outside of the hotel, you can relax at the confortable terrace of the hotel, also you can enjoy nearby Montseny mountain, with a lot of activities to do. Efforts to restore the building's history. Outside the mill and the old textile factory warper are a sample. The proximity to the river, with all the life that is around it: the sound of water and birdsong. Close and cordial deal always offered to customers. Aiming to respond to all requests and suggestions.